For the first time in history, the United States is changing its vote from ‘Abstain’ to ‘No’ on the annual UN resolution on the Golan Heights. 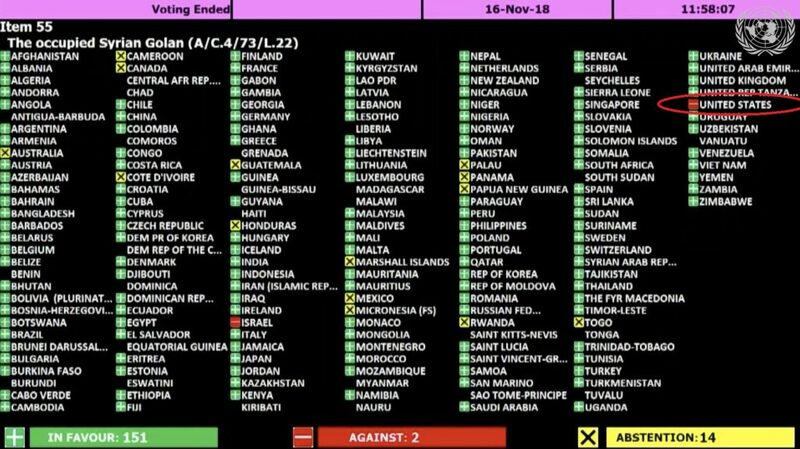 The results of the UN vote, 16.11.2018. In the red circle: The United States votes ‘Against’ the condemnation of Israeli control over the Golan Heights. US Ambassador Haley said that in previous years, the United States has abstained from voting on this resolution. However, given the resolution’s anti-Israel bias, as well as the militarization of the Syrian Golan border, and a worsening humanitarian crisis, this year the United States has decided to vote ‘No’ on the resolution. The United States will no longer abstain when the United Nations engages in its useless annual vote on the Golan Heights. If this resolution ever made sense, it surely does not today. 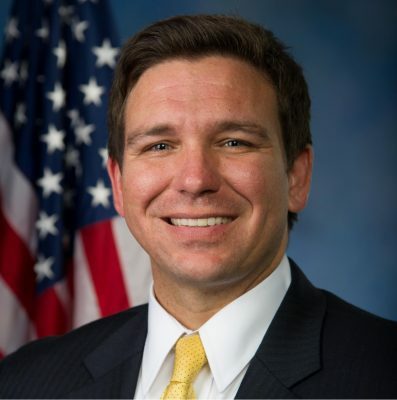 The resolution is plainly biased against Israel. Further, the atrocities the Syrian regime continues to commit prove its lack of fitness to govern anyone. 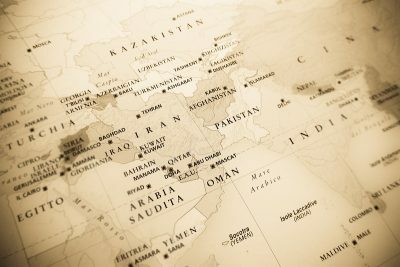 The destructive influence of the Iranian regime inside Syria presents major threats to international security. ISIS and other terrorist groups remain in Syria. And this resolution does nothing to bring any parties closer to a peace agreement. The United States will vote ‘No’. The vote aroused many reactions. Israeli Prime Minister Benjamin Netanyahu referred to the change in the American position at the beginning of the cabinet meeting. US Mission to the UN, Twitter account. Israel’s Ambassador to the United Nations, Twitter account.